WOW. Well, it's been a helluva few months since I last updated this thing. Why so long? The truth is, I've been dealing with bad depression and the thought of tackling the updates really overwhelmed me. It just seemed like way too much to deal with! So I'm really sorry about that! But I really want to get back on top, so here I am, making a go of it. Some of this is old news, but I'm putting it up to keep as full a record as possible in one place. If there's anythng I've missed PLEASE do let me know! In other really old news, the Mattel release of the Arkham City dolls have errors in Harley's hair colours. The red and black streaks on her ponytails appear on the wrong sides. You can see the error here. VERY interestingly, the first issue of the 'Hunt for Harley' arc (Suicide Squad #6) is going back for a second print run. Intriguing, no? Especially considering the story revolves around the JokerxHarley relationship. Guess the fans are once again making their preferences felt through their wallets: JokerxHarley is HERE TO STAY, YIPPEE! Though we can expect the pairing won't be really teamed up again for a while (Joker is out of action at the moment), the interest in them as a couple remains dominant. Interviews with Adam Glass - the writer for Suicide Squad - have piqued fans' emotions, criticisms, cautious anticipation and faith spliced with doubt. Have a read of them here and see what you think - in my opinion he swings between having a real appreciation for Harley with some misguided attitudes about who she is. Only time will tell how things will progress. Adam Glass interviewed on USA Today - this interview in particular has caused controversy amongst fans. Adam Glass intervied on PopCultureAddict - specifically on the Hunt for Harley story arc. Tara Strong says playing Harley Quinn was terrifying after Arleen Sorkin made the role famous - enjoy more from the fabulous and funny Tara Strong, who loaned her wonderful voice talents to Harley in Arkham City. Design plans have been released for a new-styled Harley Quinn - the Bishoujo Harley Quinn statue. It hasn't got past design stage yet, but it IS a lovely design - so keep your peepers peeped for when this beauty comes out! 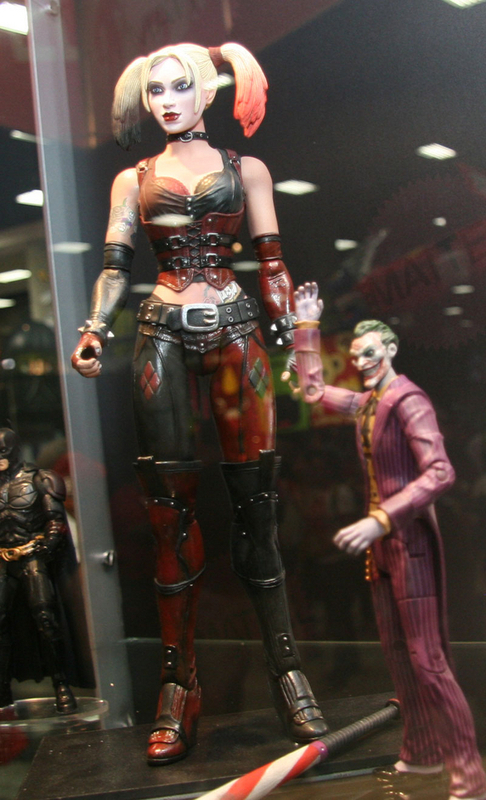 The second Ame-Comi Harley Quinn statue has JUST been revealed at Toy Fair 2012. Another beauty for those who like these reimagined designs. A sequel to the Batman Lego game has been announced so you can expect Harley will make her distinctive appearance, alongside her Mistah J, for more mischief and mayhem! Arkham City Lockdown, an extra feature for Apple products (iPhones, etc..) has been released and features new levels with Harley! 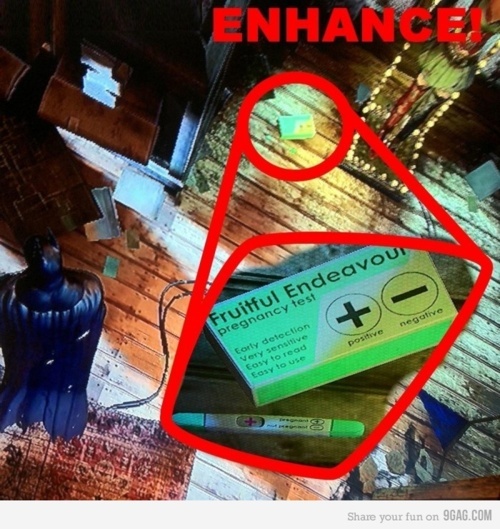 Read more about it here at The Gaming Examiner and VG247. See Harley's own special trailer here on youTUBE. Ideas being thrown around for a Suicide Squad game? WHAT-ever. But then, it'll all come down to the almighty buck. I will gratefully welcome the information!